DAMASCUS, MD. 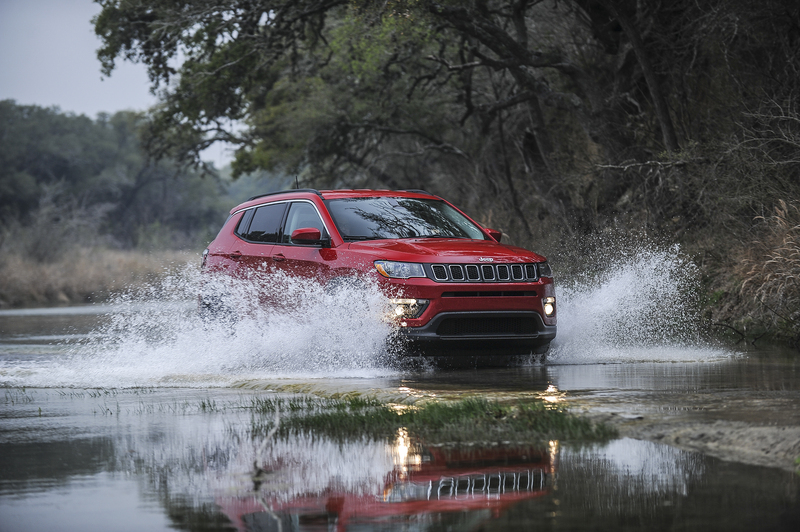 – For 2017 Jeep introduced an all-new Compass with the brand’s legendary off-road capability intact, and the added ability to keep you and yours comfy on the slog to work. The Limited test model brought forth leather trimmed bucket seats, that were heated and eight ways adjustable with 4-way power lumbar support, for instance. A dual pane panoramic sunroof, power liftgate, Android Auto and Apple CarPlay, Navi, an 8.4 inch infotainment screen, and more will ease the pain of backed up traffic. While many claim to have an “all-new” model this really is the case here. Everything is new – interior and exterior style, new engine and transmission, all-wheel drive systems, and safety equipment. Well that is the same. 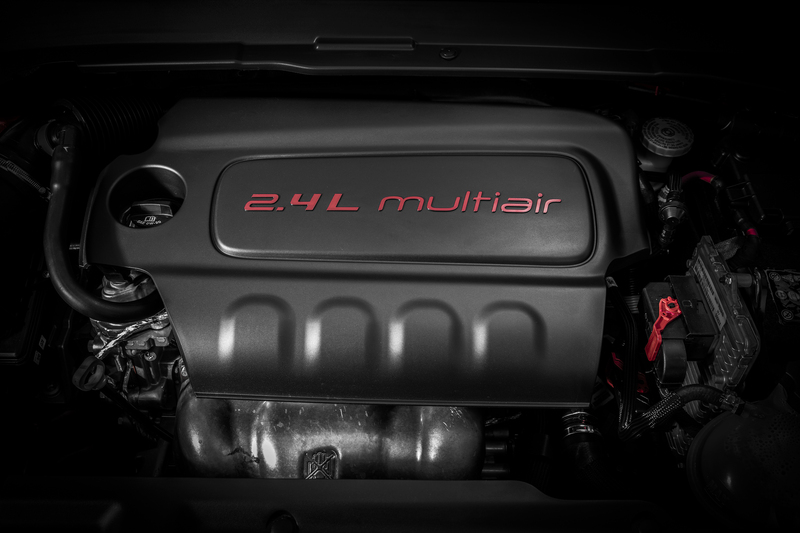 A 2.4-liter I-4 engine with 180 horsepower, 175 lb.-ft. of torque mated to the choice of three transmissions: A nine-speed automatic transmission for 4×4 models, a six-speed manual transmission (4×2 and 4×4 models) or a six-speed automatic transmission for 4×2 Compass models. The nine speed performed well but the 2.4 liter four was weak in the acceleration department when pushed for quick maneuvers or interstate integration. Another 10 to 20 hp please. In mostly suburban driving, I finished the week at 22.6 mpg. EPA ratings are 22/30/25 mpg. Look for a 0-60 in the upper reaches of the 9 second range. 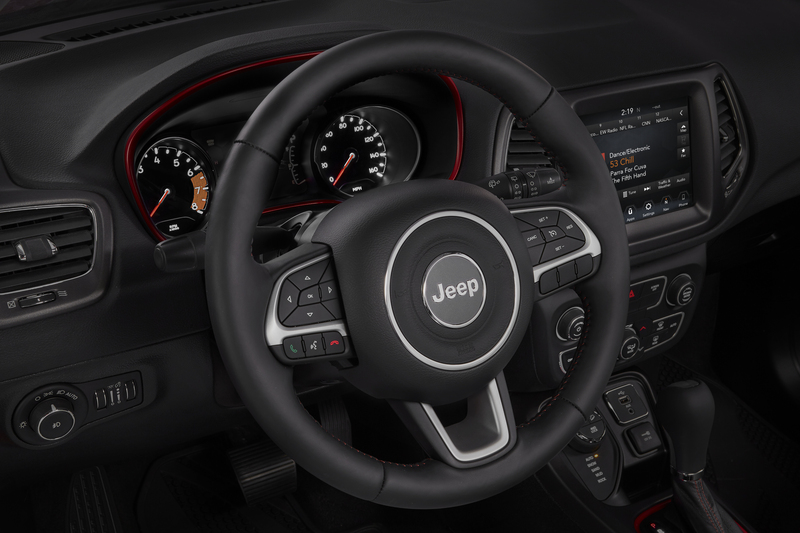 Jeep offers two 4×4 systems each of which can send 100 percent of available torque to any one wheel. Handy when your best friend starts reading “Living Beyond the Grid” magazine. Jeep’s “Active Drive” is a full time 4×4 system while “Active Drive Low” brings a 20:1 crawl ratio. Those who believe deep mud is a super highway will want that along with the Trailhawk model. Our test vehicle included a center console knob to select the best four wheel drive performance when the surface is Snow, Sand, or Mud. It will automatically select for you as well. But for all its off road and bad weather accomplishments, the Compass was comfortable on interstates as well. One might expect a rock hard suspension but that was not the case here. Out back there is ample storage capacity at nearly 60 cubic feet with the second row seats folded. Leave them up and two adults passengers will find more than acceptable room. Our well optioned Compass carried an MSRP of $35,555 including transportation. 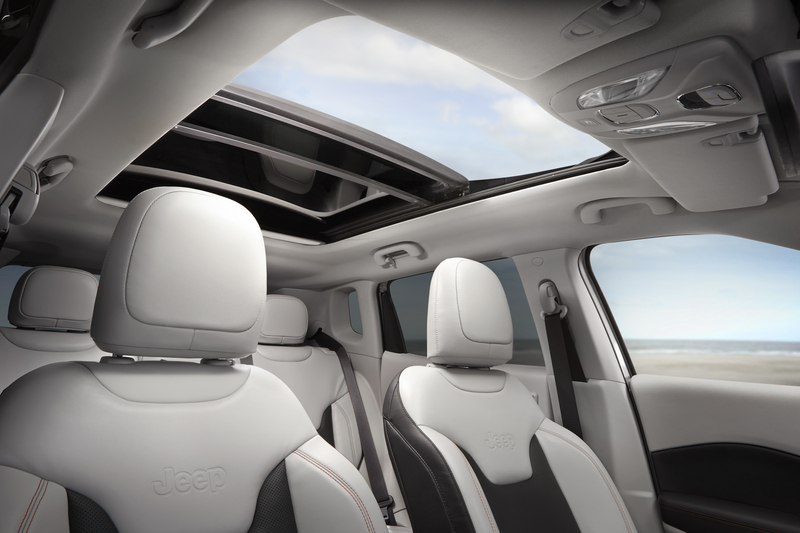 An $895 Safety and Lighting Group, $745 Safety and Security Group, $895 Navigation Group, along with the $1,295 Sunroof were the major options. 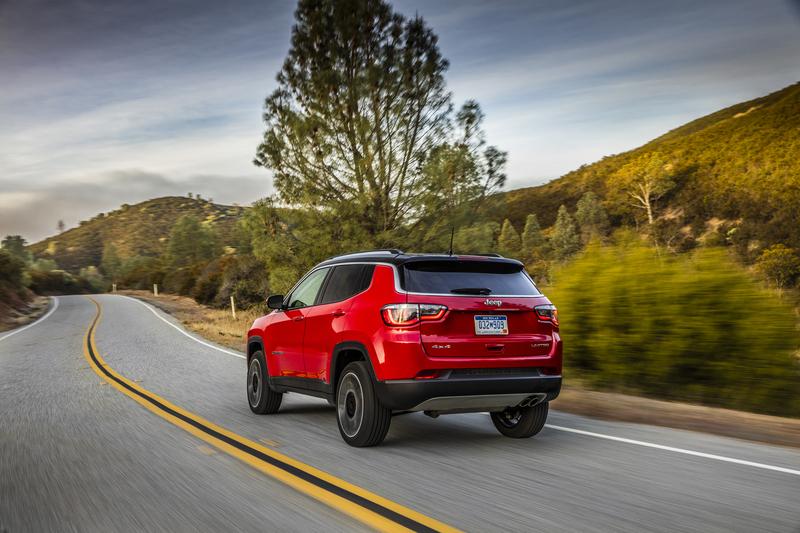 In sum, the 2017 Compass is a huge improvement over the older model with all the safety gear one expects, but also with the equipment and level of refinement inside that is expected by today’s buyers. SOOOOO, if your summer vacation is to a remote electricity-free cabin in the deep woods with bears as your next door neighbors, you need a Jeep. Go over the long, long option list and there is one that will surely get you there. Thanks to strong demand for its trucks and SUV’s, GM has reported a record net income of $2.61 billion in its first quarter. Earnings per share, a key indicator for Wall Street, topped expectations totaling $1.70 and well above the forecast of $1.48 a share. Here in North America, GM said revenue rose 10.7 percent to $29.3 billon. “Our first-quarter results reflect our resolve to grow profitably and demonstrate the strong earnings power of this company. More importantly, we advanced our strategic plan to transform GM for the long term and unlock more value for our shareholders,” said Mary Barra, Chairman & CEO. In pre-market trading this morning, GM shares were up about one half percent. With the cost of the Takata airbag recall behind it, Honda reported a quarterly profit, but was less than optimistic looking forward. Honda said profits for the full fiscal year may disappoint due to one-time pension expenses and foreign currency exchange rates. Quarterly profits rose at Volvo by 11 percent, but fell 56 percent at Mazda due to lower sales, currency exchange rates and recalls. Sales of Certified Pre-Owned vehicles hit a record high at Kia in the first quarter led by the Sedona minivan. Sales rose 17 percent compared to the first quarter of 2016. Drivers in the Northeast tend to speed the most, while also using their cell phones, a disastrous recipe for fender benders or worse. Alternatively, drivers in states located in the West and Midwest most closely adhere to driving laws, coming in as the safest drivers in the nation, according to a study from online insurance company EverQuote. Rhode Island drivers exceeded the speed limit on more than half of all trips taken (57%), used a phone on 38% of trips and went hard on the brake during 29% of trips. Montana drivers most closely follow the rules of the road, the survey said, where speeding occurred only on 17 percent of drive whiles hard turns and risky acceleration occurred on just 10 percent of drives. Ford had warned Wall Street that first quarter results would not be a rosy as one year ago. After posting a record pretax profit in the first quarter of 2016, Ford said net income fell 35 percent in the first three months of 2017. It cited recalls, investments, rising community prices and some reduced sales. Earnings per share, after one-time items were withdrawn, topped market estimates at 39 cents a share. “Ford’s balance sheet remains strong – ready and able to support our plans for growth and to protect against adverse changes in the business cycle,” said Bob Shanks, Executive President and CFO. The Ford F-150 is the vehicle Americans read about most, according to digital advertising provider Swoop. 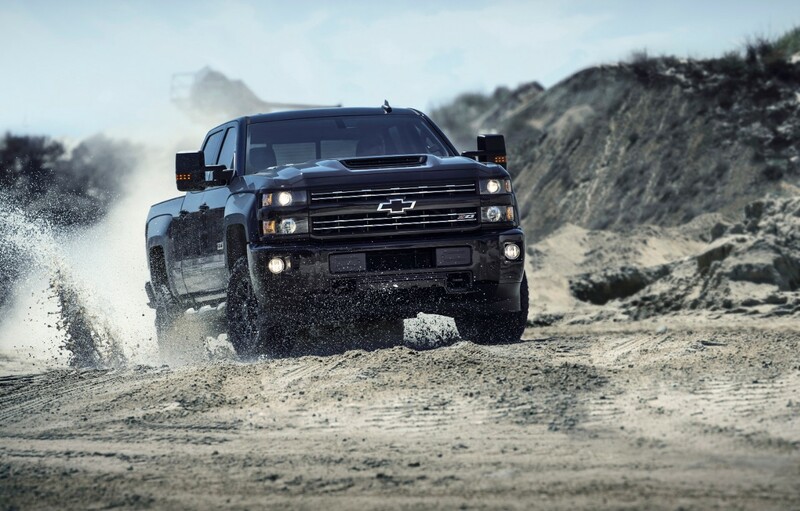 The truck had been second on the list but the first quarter of 2017 saw the long-time top vehicle, Chevrolet’s Corvette, drop to the third spot. The Ford Mustang also leapfrogged the Corvette, coming in at number two. Chrysler is adding a Touring Plus model to its Pacifica van lineup. It will include features like a power liftgate, three-zone automatic temperature control, premium fascia, projector headlamps, LED tail lamps, fog lamps, second- and third-row sunshades and universal garage door opener. Prices start at $32,360. Even time I see the name “projector headlamps” I wonder when someone will come up with the ability for them to show movies. New research released today from Enterprise Rent-A-Car reveals that our weekends are increasingly under siege by our jobs. Nearly seven out of 10 individuals work at least one weekend per month. And when they do work over a weekend, survey respondents indicate that they put in the equivalent of a full day – an average of nearly nine hours. Nearly two-thirds of those surveyed (63%) said their employers expect them to work over the weekend, and 61 percent said they have a hard time not thinking about work over the weekend. Younger workers in particular, those ages 25-44, have a harder time keeping their minds off work, compared with those who are older. In addition, two-thirds (67%) said they are plugged into the office on a typical weekend, mostly through reading or answering work-related emails. The survey surfaced as Sweden considers a six hour work day. Auto News for April 26 – Higher Octane Gas Coming? Due to its length, that MUST BE a higher octane link. Fiat Chrysler has reported a 34 percent higher fourth quarter net profit compared to a year ago and earnings per share came in at the level markets were expecting. In pre-market action FCA was trading higher on the news. Increasing demand for the Ram truck and some Dodge brand vehicles along with higher European sales helped the old bottom line. Consumer Reports has lowered its ratings of the Tesla Model S and the Model X due to the lack of a promised automatic emergency braking feature. 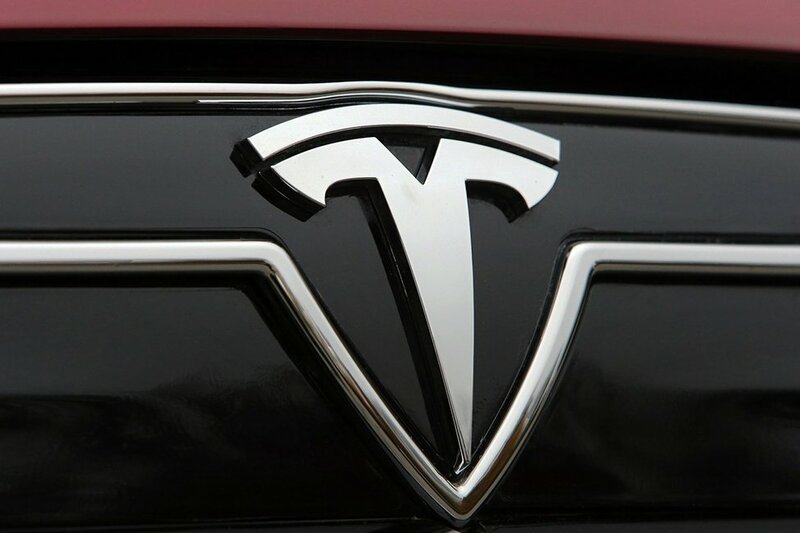 Tesla said it is working on software problems and told CR that expects to offer a software update tomorrow. A Tesla spokesperson told CNBC the update is already under way. Kelley Blue Book is forecasting a 3 percent drop in sales year-over-year. Going a step further, KBB said 2017 is expected to be the first down year since 2009. This after seven consecutive year-over-year sales increases. The 2017 Kia Cadenza has been given a Top Safety Pick Plus rating from the Insurance Institute for Highway Safety, its highest rating. States are not capturing enough data to determine if highway crashes were caused by driver fatigue, texting, or the use of illegal drugs, according to a report from the National Safety Council. It said accident reports in many states lack fields or code for police to record such causes. States are also failing to capture data on such causes as teen driver restrictions, the use of advanced driver assistance technologies, and infotainment systems. “The road to zero deaths is paved with potholes,” said Deborah A.P. Hersman, president and CEO of the National Safety Council. “In too many cases, we are gathering the ‘what’ but not the ‘why’ and better data will enable us to make better decisions,” Hersman said. Tesla said it will double the number of quick charging stations globally to more than 10,000 by the end of the year. 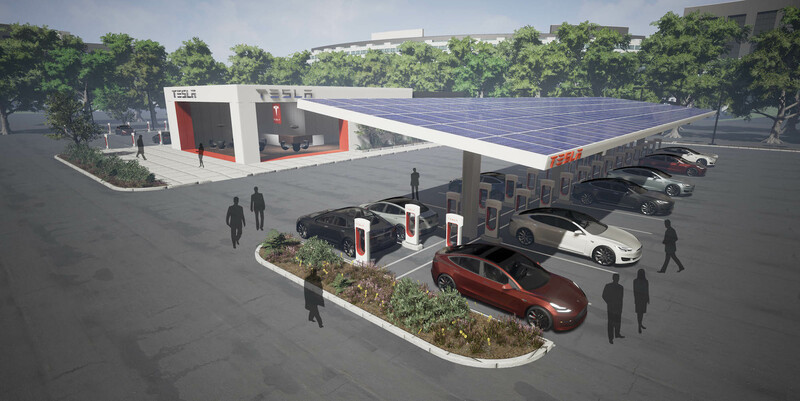 Here in the U.S., Tesla said it will increase the number of stand-alone Supercharger stations by 150 percent. The number of stations at destinations such as hotels will also be stepped up. Tesla will build larger sites along its busiest travel routes that will allow several dozen cars to be charging simultaneously. 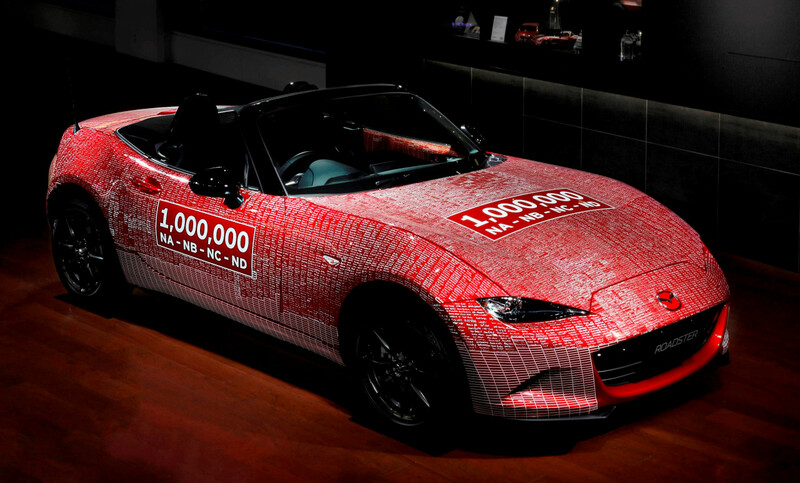 After a worldwide tour, the One-Millionth Mazda MX-5 Miata to be produced has returned home to Hiroshima, Japan. Thousands of fans signed their names on the bodywork during the tour. The car will now be displayed at the company’s headquarters. 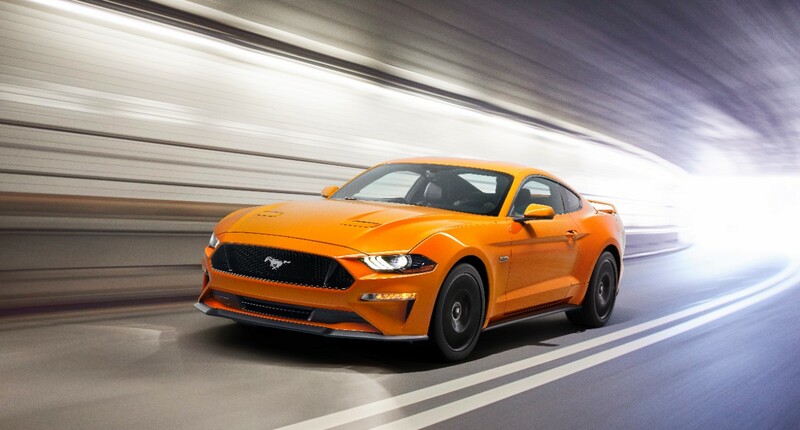 Ford claims the Mustang is now the best-selling sports car in the world and cites IHS Markit Global automotive registration data. The Mustang, once only sold here in the U.S., is now available in 140 countries and six more will be added this year. Ford said sales are up 6 percent on international markets. Fiat Chrysler announced that Waymo will add 500 Chrysler Pacifica Hybrid minivans to expand its self-driving program. FCA previously delivered 100 minivans, modified for self-driving, to Waymo during the second half of 2016. Production of the additional 500 minivans will ramp up beginning next month. Waymo will then outfit these vehicles with its self-driving technology. Auto News for April 24 – Type R IS very fast! 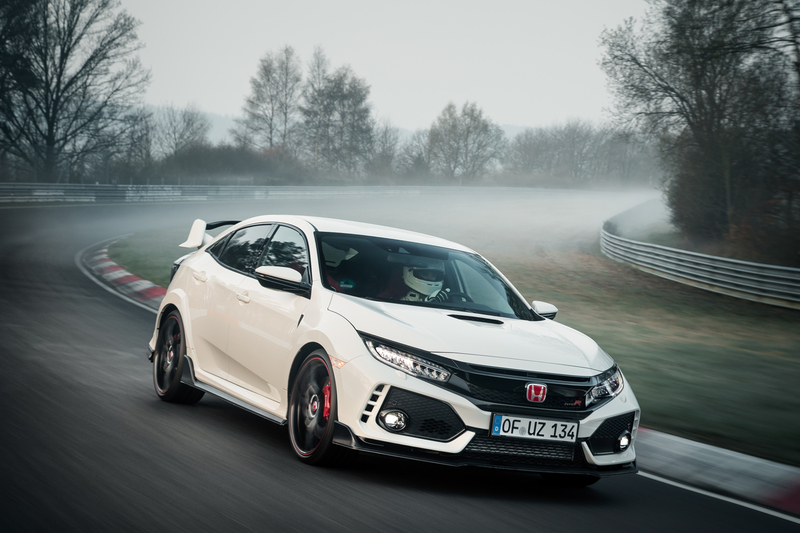 The Civic Type R has claimed the title of world’s fastest production front-wheel-drive production car by lapping the famed Nurburging’s North Loop in 7 minutes and 48 seconds. Honda said that is over three seconds faster than the previous FWD record. Video footage of the benchmark lap can be viewed on Honda’s YouTube channel at Honda.us/TypeRLapRecord. What makes its go? A high-performance 2.0-liter VTEC TURBO engine – with peak output of 306 horsepower and 295 lb.-ft. of torque. The engine, which makes the Type R the most powerful Honda ever sold in America, is manufactured in the U.S. at Honda’s Anna, Ohio plant. It will go on sale here in late spring, and should be an absolute blast to drive. Owners of the Hyundai Tucson Fuel Cell vehicle have now racked up more than two million miles on the roads of Southern and Northern California. These fuel cell CUVs have emitted only clean water vapor, and by so doing, have replaced approximately 760 tons of CO2 emissions that would have been emitted by vehicles of similar size and capability, Hyundai said. There are roughly 140 of the fuel cell vehicles on the road. Could this be the case here? One in three (32%) of motorists try to avoid completing driving maneuvers for fear of getting them wrong, according to new research from Kwik-Fit. Parallel parking tops the list of most commonly avoided moves with 30% of drivers admitting to giving it a miss whenever possible. The study, commissioned by the UK’s leading automotive servicing and repair company found that motorists’ fear of putting their car through various maneuvers peaks during their driving test but often never entirely leaves them even after many years of experience. HERDON, VA. – It is not just us. In Europe, SUV’s account for one in four sales as consumers turn away from cars and demand grows for large luxury models. Despite government moves to bolster demand for electric cars in China, SUV sales rose 21 percent in the first quarter of this year. Electric car sales were up by only four percent. Here at home, cars are sitting longer on dealer lots as people flock to crossovers, trucks and SUV’s, and like their European neighbors, large and luxurious selections. Now comes the Atlas, a three-row SUV with room for seven that, at 198 inches long, is roughly the size of a Ford Explorer or Nissan Pathfinder. 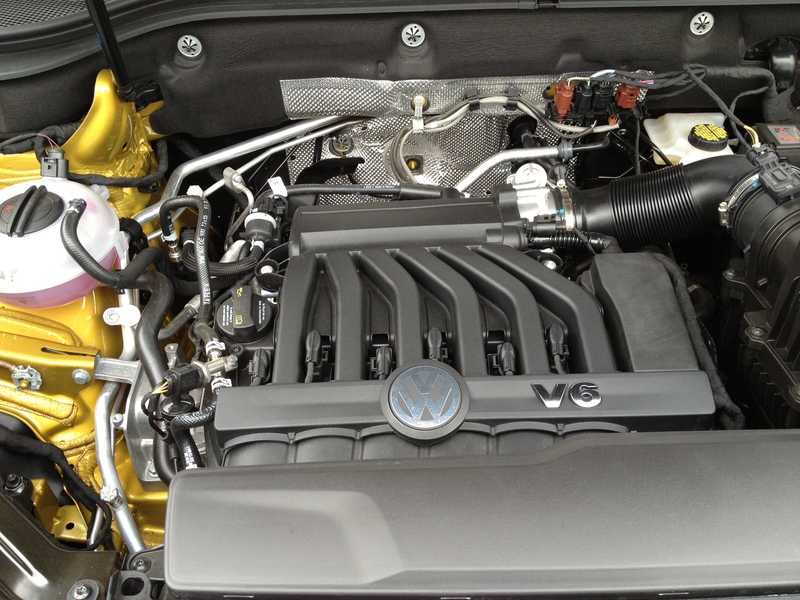 Assembly will be carried out at the VW plant in Chattanooga, Tenn. 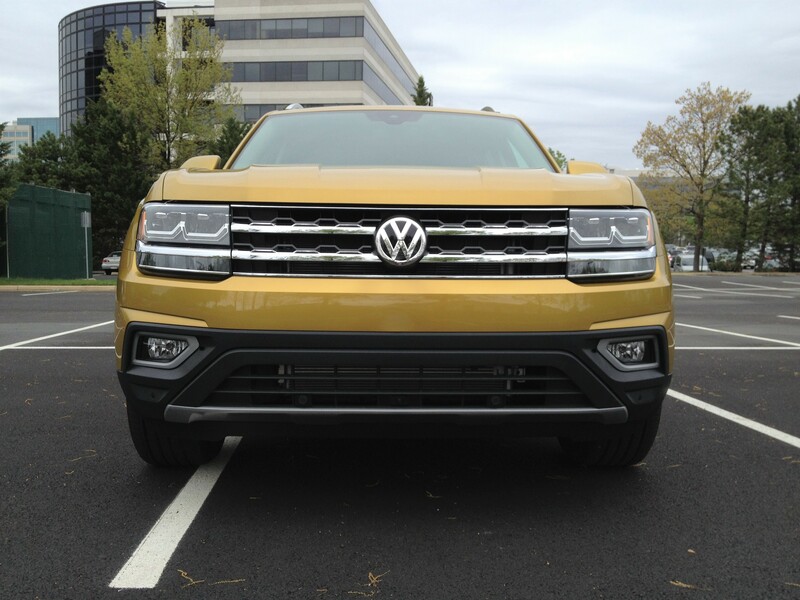 The largest VW offered here in the U.S., the Atlas has a longer wheelbase than rivals at 117.3 inches and that allows adults to be comfortable in a very accessible third row. Even with the third row seats in the up position there is lots of storage left over, 21 cubic feet, for their gear and that is more than most of the competition. Entry and exit is aided by a second row seat that folds and slides forward at the touch of a lever. With all seats up, the Atlas will seat seven and offer 96.8 cubic feet of cargo hauling with the second and third rows folded. There will be two engine selections: A 2.0-liter 235 horsepower turbo four with 258 lb-ft of torque or a 3.6-liter V6 with a more robust 276 horsepower and 266 lb-ft of torque. Both come with an 8-speed automatic with manual shifting mode. The four will be offered with front wheel drive only, while the six offers either front or VW’s 4Motion all-wheel drive. Only the six was available for a get acquainted test drive with the four making its debut sometime after the six appears in showrooms next month. In a short outing here in suburban Virginia, the larger offering delivered more than adequate acceleration, and the 8-speed was a smooth operator. 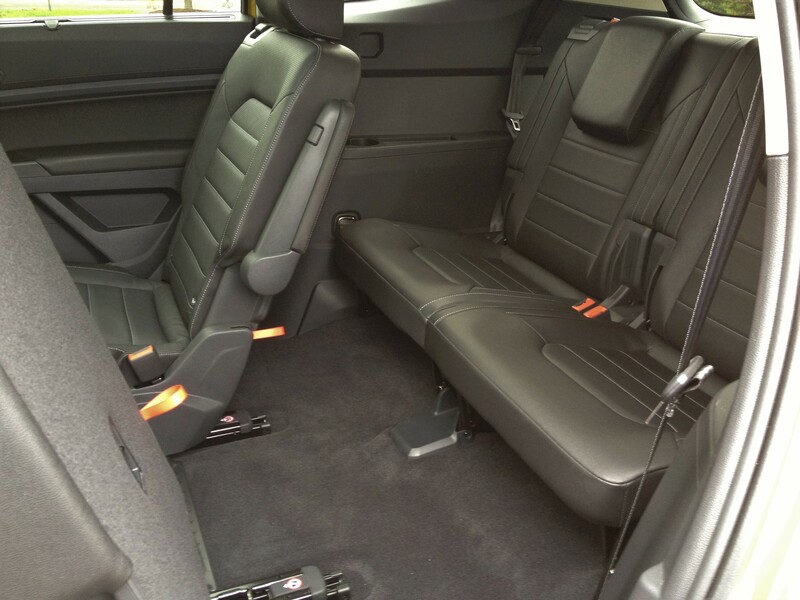 The interior design will be familiar to any VW owner, just larger and more spacious. The leather clad seats were instantly very comfortable with a minimum of adjustments. Luxury touches were abundant, the steering wheel was right sized, and the driving position felt (almost) sporty. Excellent sound reproduction came from the 12-channel, 480 watt Fender audio system with a dozen speakers. VW said Apple CarPlay and Android Auto are friends with the large 12.5 inch center display system. Operators will be able to dial in extra traction in AWD models with On Road, Snow, Off Road and Custom settings. And there are four driving modes, Eco, Normal, Sport and Individual. Atlas will not shrug when it comes to model choices. S, SE, SE w/Technology, SEL and SEL Premium will be offered. With interior luxury touches, better than expected handling and ride, the Atlas should more than meet the expectations of consumers seeking a solid, quiet, and easy to drive, slightly larger than midsize SUV. Allow me again to applaud VW designers for making a third row seat with adequate head and leg room along with ease of access that really does allow Atlas to haul seven people. 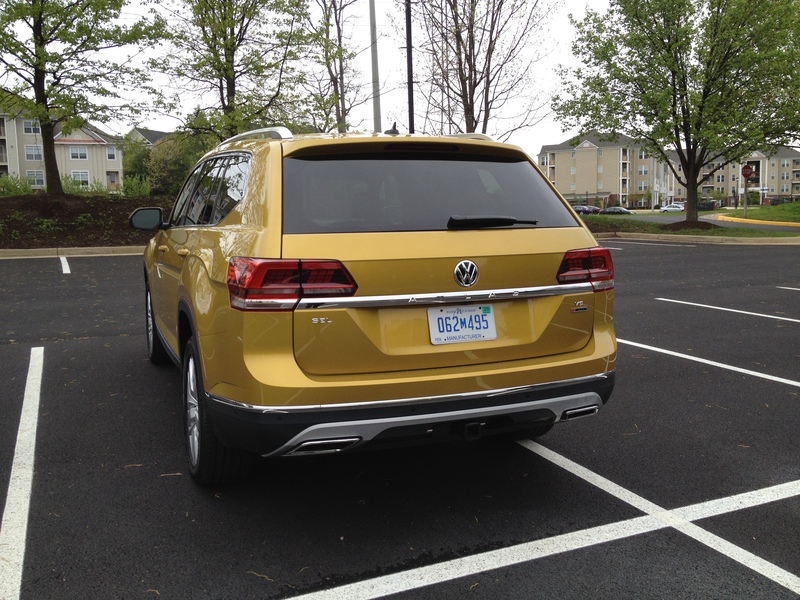 Too many three row SUV’s offer only enough room out back for small children. Atlas pricing starts at $30,500 for the late arriving turbocharged 2.0-liter four. For the base model six, the bottom line comes to $31,900 on up to a $48,490 base for the very well-equipped SEL Premium that I drove. Atlas is scheduled to appear in showrooms next month. 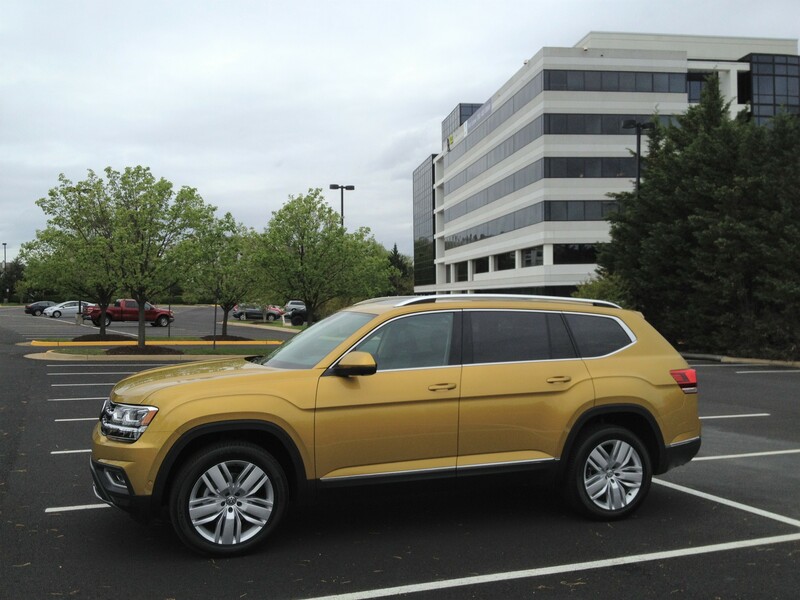 At the end of the test drive, I thought, “Wow, has VW design come a long way from the days of my uncle’s bare bones bus.” As I remember my Aunt wanted zero options and in the end, the dealer kicked in the AM radio!